Truu Aveda Salon (http://www.truusalon.com) has announced their awards for best spa/salon, best haircut and best hair color service in Hollywood by the reader’s of the Hollywood Gazette. In the annual “Best Of” contest, readers vote for their favorite businesses. Their superior customer service and relaxed atmosphere enhances the Truu Salon experience. “Truu Salon eases their clients into a spa-like beauty day where clients can decompress, rather than a rushed haircut,” said the Hollywood Gazette. 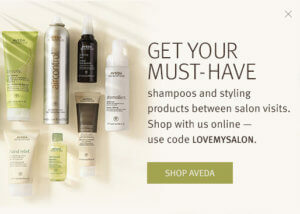 Truu Salon is an Aveda Concept Salon carrying the entire line of Aveda products including hair care, skin care, body care and makeup.